Rolling / Moving Logs for transport is a crucial part of a logging operation. 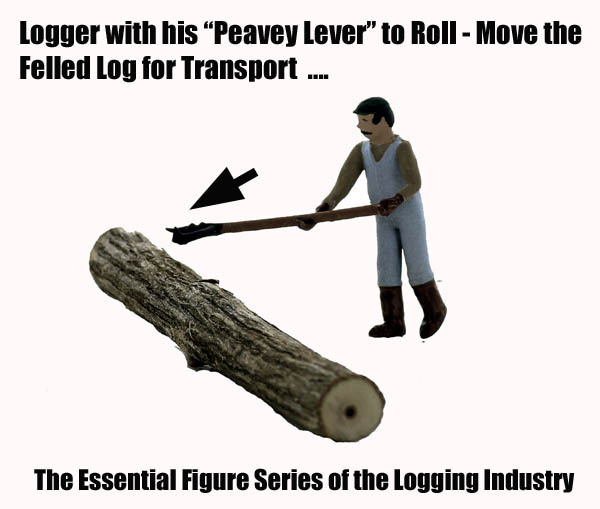 Workers used their Peavey Levers to roll and muscle logs into landings and on transport vehicles or skids. 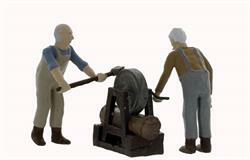 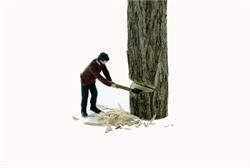 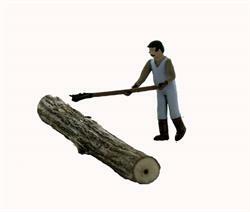 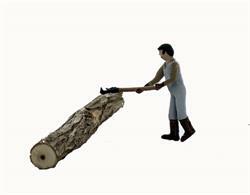 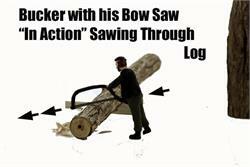 SEE OUR ENTIRE HO Scale LOGGING and LOG CAMP FIGURE SERIES....FIGURES NOT MADE ANYWHERE ELSE !